(Should Nannies Take Sick Days?) When you’re sick but you can’t really afford to take a sick day? Or you’re hesitant to call in sick last-minute because you know it will impact badly on the family. What do you do? How sick is not quite bad enough to still be able to go to work, or so sick that you’re likely to give the plague to anyone who comes into contact? Do you risk affecting your work ethic by taking a sick day? Needing to take a sick day can be a stressful issue for most nannies. Especially when considering the potential ramifications and the chance that Boss Mum and Dad may not take too kindly to being thrown in the lurch. 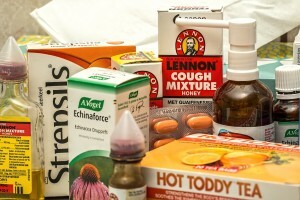 Benefits and tips for taking a sick day. It is often a tough call, knowing when I am too sick to function or able to go in. I do notify the parents when I am feeling ill in the afternoon that I may not be well enough o come the next day, so they can make backup plans. My criteria for calling in in the morning are whether I am well enough to drive safely and work, and whether I seem to be going downhill or holding at a current manageable level. Also whether I got any rest the night before, and need recovery time to avoid getting much worse. Regarding germs, the children generally were already exposed while I was coming down with the bug.